Do eggshells help in the garden? Absolutely! Using eggshells in the garden can boost your garden’s productivity — and it won’t cost a dime! Eggshells are a free byproduct of cooking in most households. Instead of tossing them in the trash, use eggshells to improve your garden soil and to deter pests. Each time you crack an egg open, instead of tossing the shell into the trash, drop it into an open container that you keep in the fridge. I’ve always saved my shells, but my friend Susan suggested keeping them in the fridge; it works beautifully. The cold air in the refrigerator helps to dry them out. As the shells fill the container, I simply push down on them to crush them and make more room. Once the container is at capacity, here’s how you can use those eggshells in the garden. Even when the winter weather keeps you inside, you can collect egg shells for use in the springtime. Do you need to pasteurize eggshells for use in the garden? No. However, I know a lot of people do. If that floats your boat, it’s certainly not going to hurt. If you do decide to boil them before using eggshells in the garden, save the boiling water. It will have trace elements of calcium that’s good for watering tomato plants. Eggshells add calcium to the soil. Calcium is especially appreciated by tomato plants. Add a small scoop of finely ground eggshells directly to individual planting holes when you’re planting your garden. To get the most calcium boost from the eggshells, you’ll want to run them through a blender. Can eggshells go in compost? Absolutely! Adding eggshells to your compost will boost its mineral content. 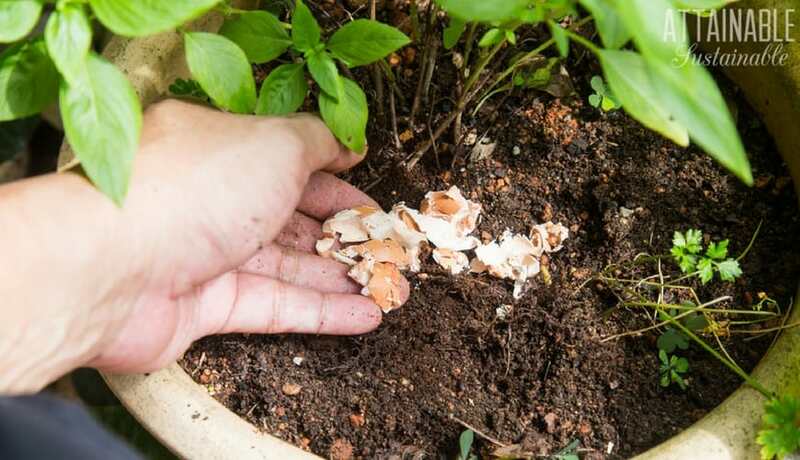 Eggshells that are crushed will break down relatively quickly, but don’t hesitate to use the compost in your garden if the shells are still intact. If you put egg shells in the compost nearly intact — in halves, say — they will retain their shape for a surprising amount of time. I add “stacks” of eggshells to my worm composter pretty regularly and I’ve noticed that in time, these become chock full of worms. Now, I don’t speak worm, so I’m not entirely sure what they’re doing in there, but the shells must provide them with some sort of habitat they need. This is kind of a roundabout way to use eggshells in the garden, but they’ll get there eventually. I feed crushed eggshells back to my hens instead of buying oyster shells to supplement. They add calcium to their diet and it has never caused my hens to peck at their eggs. It just makes sense. And those eggshells will make their way to your garden in the form of chicken manure. To make your own seed starting pots from eggshells, fill each half with good potting soil and set them in an egg carton. 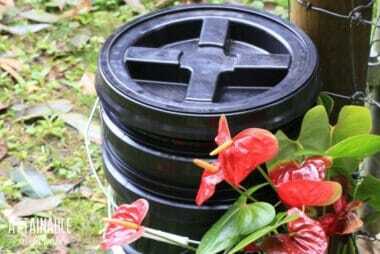 Plant seeds in these DIY ‘pots’ and care for them as you would any other seed. When the seedlings are big enough to go out in the garden, simply give the shell a little squeeze. This cracks the eggshell and allows the seedlings to send roots out through the eggshells and into the garden more easily. Crush the shells into small bits, roughly 1/8″ in size. (This is an excellent job for kids.) Just give them a rolling pin or wooden spoon and let them go to town. Sprinkle these crushed shells around the base of your plants. The sharp eggshells are said to deter slugs, snails, and other soft-bodied bugs from nibbling on your garden. Well, I know people who swear by this method and others who say it doesn’t work. I’ve found the method to be a bit hit or miss, but if you’ve got eggshells a plenty and more slugs than you want to deal with, it’s worth giving it a shot. Eggshells are said to deter deer. I can’t speak to this as I don’t have a deer problem (anymore). But placing eggshells around tempting plants is supposed to deter deer as they don’t like the smell. Using eggshells in the garden like this might protect your crop from being nibbled! You can give yourself a GREAT facial w/ what’s left inside the egg shell. Just scoop what’s left of the egg white out and rub it all over your face. You should not eat, drink, speak or smile while this is drying (my sweet children make it their goal to make me laugh whilst I’m doing mine). I usually will let it stay on for about 30 minutes, then rinse off w/ lukewarm water. It’s a little thing but it makes me feel like a million $$. This was my mom’s favorite trick, too! I use it often. I’ve got these around my zucchini plants at the moment. It definitely does help! Does this work for indoor plants? We should rinse them first right?? I’d hope so. It works primarily for crawling pests (think: slugs and cutworms) that you probably don’t have in your indoor plants! And wash them? I don’t. I was concerned about the safety issue too, especially if storing the crushed shells for long amounts of time, so I bake them. No fuss, I don’t turn on the oven just for egg shells. Whatever temperature is called for in the recipe I’m making, and for however long it says to bake it is more than enough to kill any harmful bacteria on the egg shells. I just toss them on a cookie sheet and slide it onto an unoccupied rack while other items cook; it doesn’t impact the flavor of the food at all. A few times I forgot the egg shells for a few hours but they didn’t scorch or burn, they just made a cozy crackling sound as they cooled. I have been saving my eggshells for a long time. I put the empty shells on a paper plate then microwave them for a minute or so. Cool. Then I add them to my apothocary jar, smashing them down. I use as needed. They never smell. I also grind some in my coffee grinder and feed them to the birds. Then to clean my grinder I grind a fresh piece of soft bread in it to miraculously clean it. I cut my banana peels into inch pieces and throw them into a freezer bag, adding as I get them. When I need them, I thaw and add to my compost pile or use for my roses and other plants. I have another freezer bag for my ripe bananas that I also keep in the freezer until I make my banana bread. We don’t wash ours, either. It’s going out into the garden and the thin layers of egg white won’t hurt a thing. They dry quickly and don’t stink. You crush the shells down anyway so it just mixed in and adds some trace nutrients into the soil. If you carefully peel the skin off the inside of the raw eggshell, it can be used to draw out prickles that are too small to tweeze out. it creates a strong suction when applied, wet side down, on skin, then left to dry. if you try it on a bit of skin you will feel the pull. A little off topic for eggshell uses — but another way to remove slivers is to use bacon. Put a small piece of uncooked bacon over the sliver and cover with a bandage. Overnight (or several hours) the sliver will be pulled out. No pain, tweezing, or digging at the sliver to remove it. I wore a lot of bacon as a child! 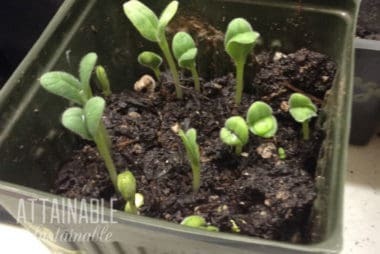 if you start seedlings for your garden, you can use the egg shell as a pot to put them in…when they get big enough, you can just give the shell a gentle crush when you plant them. We don’t have skunks here (YAY), but even when we were in prime skunk territory we never had problems with skunks getting into the garden. Curious to hear if others have found this to be a problem! We have skunks but even though I save a lot of egg shells and put them in the garden, they never bother the garden at all. I suppose they would if we put whole eggs in the compost or didn’t dry them out first. We usually just store them in the egg carton and when we use it up, put the shells in a little bin to dry out. Then crush. No cooking necessary. Don’t worry, your garden is not going to get salmonella poisoning….nature has this stuff all taken care of. 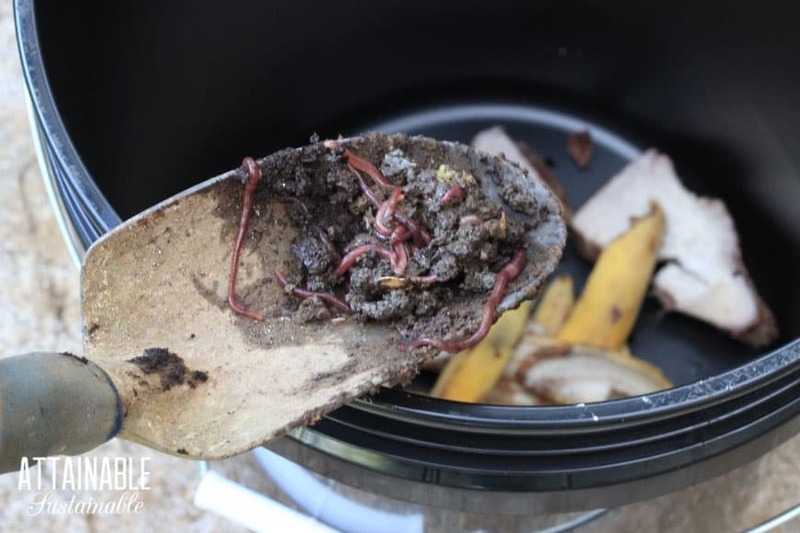 I also run some through the grinder and feed them to my red wiggler worms in my indoor compost bin. I feed mine back to my chickens. Makes their egg shells less brittle. I noticed your comment on the side bar about cartons and asking for eggs in a basket. My customers get a discount on my eggs when they recycle the cartons back to me. I have never bought egg cartons to sell my eggs, all are just recycled ones people had from store bought eggs in the past. It may be illegal to recycle used store egg cartons in your state, especially if you resale the eggs. Check and be sure. If you sell eggs in used cartons and there is a health problem with the eggs, it can be a problem for you. If you have a health problem with your eggs and you used a name brand carton, that could come back and haunt you. Just be careful. how long can you save the shells in the fridge? MONTHS. I leave them uncovered so the shells dry out, then I just keep pushing more into the container as I crack eggs. Make sure you rinse them out first before storing as they will begin to smell bad. Found this out. I stored mine in a container and they ended up going bad. So, I wash them and let them dry. A day later I crush them a little and put them in a glass jar. Don’t crush them into a high speed blender like a Blendtec. They will ruin the plastic container! I’ve always crushed them and boiled them, let them cool and used them on my indoor plants. The calcium and nitogen is great food for them too. There is NO NITROGEN in egg shells. Definately boil them! 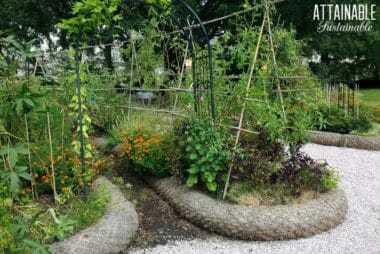 Salmonella will survive in the garden and you’ll be harvesting sickness instead of healthy foods. Crush shells, boil 5 minutes, let cool and use the water to give an immediate calcium boost to citrus plants like tomatoes and lemon trees. They will reward you with better harvest and your family will not be exposed to salmonella sickness. I eat raw cookie dough from store bought eggs. Raw eggs aren’t bad for you. 😉 raw milk isn’t bad for you either. I agree! I wash the shells (from my own hens), air dry and then make egg shell calcium for me. The rest of the shells go back to the hens or the garden. I use crushed egg shells in my soups and stews to get the extra calcium into my diet. I do bake them first before crushing them but I don’t get bent out of shape if I happen to forget. Commercial eggs are sprayed with bleach water before they’re packed for shipping. If there was salmonella inside the egg, no one would be eating them, right? 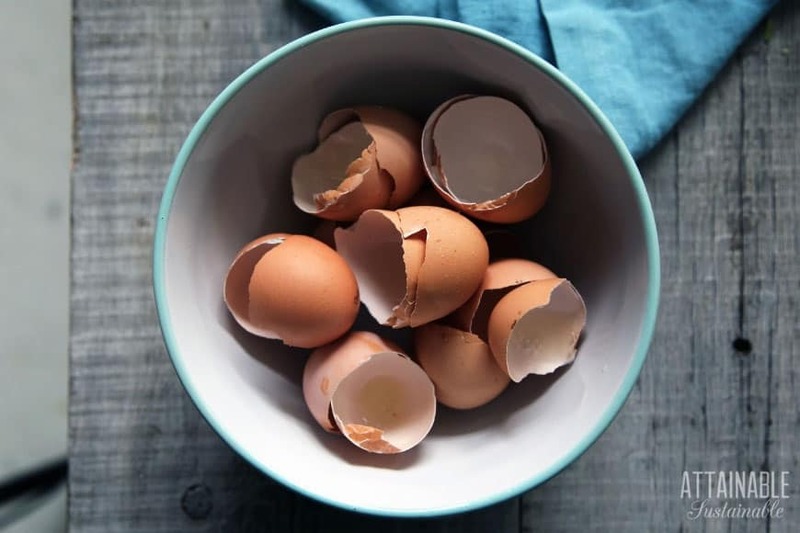 Storing unwashed eggshells at room temp isn’t something I’d want to do, but rinsing them well and letting them air dry makes boiling or baking an unnecessary step–for me, anyway. Salmonella can live inside eggs. Inside chickens too. I don’t keep my eggshells in the fridge, but I do rinse them and dry them out. They live under the sink, no problems with odor. We have a terrible slug problem where I live and I heard they can be put around your plants for protection against them. So, I just started saving mine for future use in my spring garden. I wash the shells out, save them up and plan to bake them when I have enough saved up. I always put eggshells in the hole when I plant tomatoes along with an aspirin and some epsom salt..a couple teaspoon worth. I have never washed the eggshells when I do this or when I put them in the composter. I don’t have a skunk or racoon problem and my tomatoes always bear well. Oh no! Something else for me to hoard…..at least it’s for the garden…..
Why refrigerate them? I save shells in an open container at room temperature – they never go bad, never smell, so I’m wondering why the fridge? I don’t think refrigerating is absolutely necessary, but it seems like it dries the shells out more quickly (and they don’t take up my minimal counter space). Banana peels? How do you store them until ready to dry out in oven? Two ways. You can store them in the refridgerator on a plate. They will dry out immediately. Or your kitchen counter but that will take time. I use to store them in the freezer until I needed them but found the refrigerator option so much easier. There is also a cool craft I want to try with eggshells. You break the shells and glue them to a small piece of wood, paint with alcohol inks or transparent acrylic paint. After it dries add a coat of Tripe Thick and you have a nice piece of art. I just throw mine on the compost pile. Do you think the cracked egg shells will detour the caterpillars that eat my tomato plants too? I just saw that they hibernate in the soil until the warm weather returns and the plants grow again. My sister heard from a friend that sprinkling cayenne pepper around your plants helps too. Not sure if it worked but I will tell you do not get it on the leaves of your plants, it burned my tomato plants leaves. I read somewhere once it’s helpful to plant unused match heads under your pepper plants for more sulfur nutrients. Back to the egg shells, I also read somewhere that you can grind them down into a body powder for yourself? I guess a homemade talc? I could not leave banana peels on my counter to dry, too many fruit flies!! It can’t hurt to try it on those caterpillars! i would recommend baking them to kill off any possible Salmonella or other bacteria, just a few minutes at 350 in a baking dish. Crush them first and more will fit in. Adding them to your soil early on will also help stave of BlossomEnd rot in tomatoes. I have been saving egg shells for awhile to grind into a powder for my dog.Before I put them in the oven I noticed teeny tiny bugs(some were brown some were white looking. the white ones moved) I don’t know if I should use them? I couldn’t say! But the idea of grinding them for your dog is a good one! There’s only a rare salmonella when the chickens are fed arsenic. The outbreak of salmonella came from commercial eggs. I get my eggs from a local farm and I make my own calcium solution when I don’t use them for my garden. I peel the inner film and let the shells dry out and crush the shells. When I have enough to fill my jar I add Bragg’s Vinegar and water and it breaks down the shells. Walla…homemade calcium of high quality. BTW you can make your Vitamin C by dehydrating the skins of lemons after you remove as much of the white pulp as possible. Then I put them in my vitamix and fill capsules. I keep them in my freezer to keep them fresh. Meyer Lemons are the best. Hi. I have indoor plants and all year, especially through the winter, I’ve been dealing with tons of gnats and/or fruit flies. I’ve tried so many different things to try to rid the problem and nothing is working. Is there anything you can suggest to help me out!! Please please please I’m desperate!! Are you sure theyʻre not whiteflies? You might try taking outside and hosing off if itʻs not too cold. Mulinah, For the fruit flies. A little jar with some apple cider vinegar and a piece of banana at the bottom, covered with a lid into which a few holes or some cling wrap with holes punched, will do the trick. The fruit flies enter the bottle through the holes, but are unable to get out and drown. I do this all the time and it works very well. Ground egg shells can also be used in making fermented beverages to make the water harder which can make the resulting drink fizzier.